How Solar Panels Work To Produce Solar Energy in Three Steps - Sinoyin Solars Co.,Ltd. Solar energy is one of the renewable sources with the greatest potential of which we have learned how to make the most of it, many experts say that the era of energy produced by oil is coming to an end, although it is also true that there is a long way to go. As we already know, to take advantage of solar energy we need photovoltaic solar panels. But, how do they work? The first thing we need to know to understand how a solar panel works is that the solar panels are made up of many solar cells, it is important not to confuse these two terms, one thing is a solar cell and another thing is a solar panel. Solar cells are small cells made of crystalline silicon and / or gallium arsenide, which are semiconductor materials, this means that they are materials that can behave as conductors of electricity or as an insulator depends on the state in which they are. Generally, the solar panels that you will find in the market are made with silicon. These two materials are mixed with others, such as phosphorus or boron, the idea is to give a positive charge and a negative charge, this is how the cells have the two charges and can generate electricity, and otherwise they could generate electricity. So, we already know that a solar cell is built with a semiconductor material that has excess electrons with negative charge and another part is made with a semiconductor material that lacks electrons with positive charge, when the solar cells are exposed to the light of the Sun directly produce current, the sun's energy moves electrons from the part of the cell that are left over to the part of the cell that they lack. This movement of electrons is just the electric current therefore in this way it has already been possible to generate electric current from one point to another. All the solar cells working together cause an electric field to be produced in the solar panel and this is how solar panels can generate energy that we can later use as electricity. Each panel is made of photovoltaic cells. 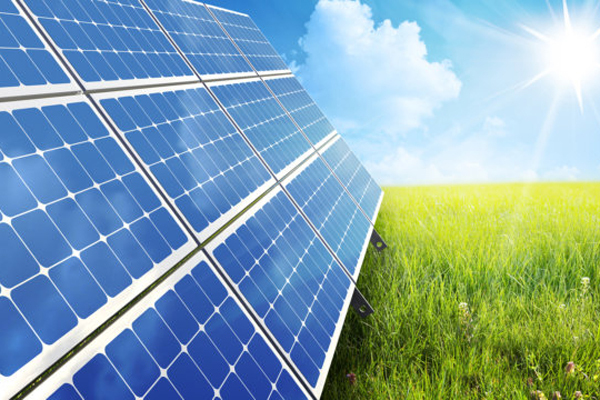 When sunlight warms your solar panels, the photovoltaic cells produce electricity from direct current (or DC). On the back of each solar panel is a microinverter. The microinverter converts DC electricity into alternating current (or AC) electricity, the type of usable electricity needed to power your home or office. Usable electricity flows through the panels and into the meter. The meter is just like a standard utility meter, but it measures the electricity that is obtained from the cells and the excess electricity that your solar panels are producing and sending to the cells. After flowing through the meter, electricity is distributed in your home to provide electrical power to objects such as your refrigerator, air conditioning and other accessories. If your solar panels do not produce enough energy for your needs, they get additional energy from the cell.